Item #47046 : Original era manufacture. 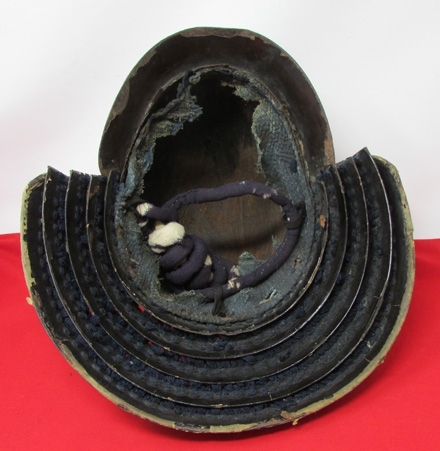 A great looking Samurai helmet dating from the Edo period of Japanese history, 1603-1868.Three piece iron skull with a very large front visor, all covered in a thick lacquer finish. The neck guard is made of five separate sections of curved iron, with a decorative finish of a lapped design. 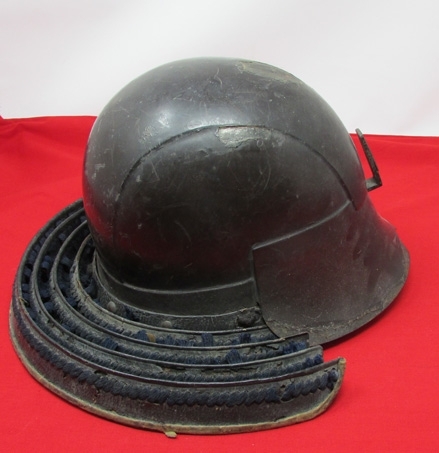 The topmost section is secured to the body of the helmet by lacing and domed brass rivets. 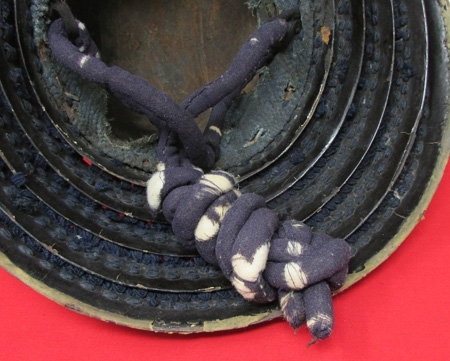 The lacing is fairly intact, likely original to the helmet, with torn sections at the bottom of the upper section.Fragments of the blue woven cloth liner remain, with an original corded chin strap once covered coarse dark blue cotton. Due to the considerable age of the helmet, some lacquer loss has occurred on the visor edge, and a few chips in the dividing bands of the helmet skull. 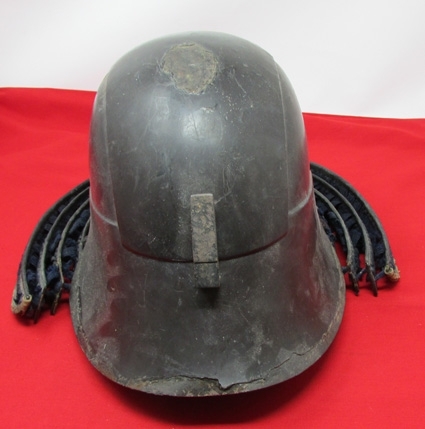 Nothing unusual for a helmet of this age.Although we are not active collectors of these Japanese helmets, we do find them very interesting and have two in our own display. They certainly make a dramatic, visual statement.